Becoming wealthy is not tricky. It takes patience and time. In today’s world there is more of a desire for immediate gratification. Unfortunately, getting rich and building wealth usually takes decades. The good news is, while you’re building wealth you can enjoy a fulfilling life. The wealth building journey itself can be fun. After all, 40 years ago, who even heard of Warren Buffett? Yet today, after years of investing persistence, he’s a household name. To grow your wealth, let Buffet be your inspiration. 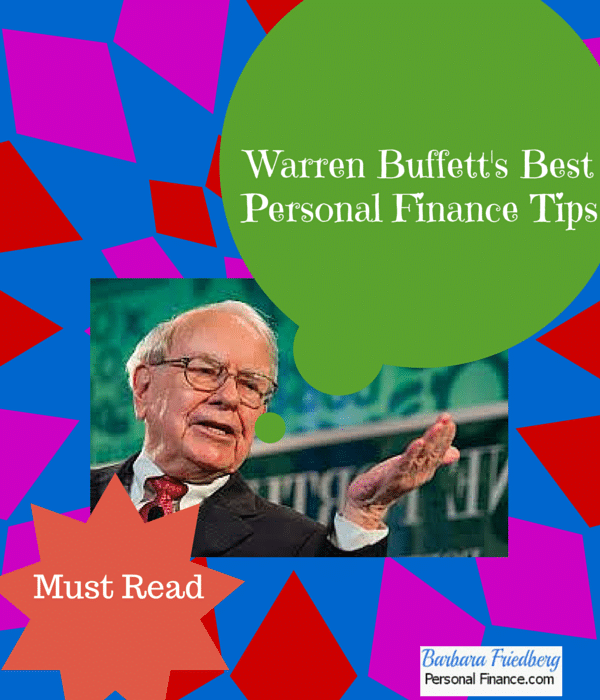 Read about Warren Buffett’s Best Personal Finance Tips. I’m committed to teach you how to invest with smart money strategies. Learn the strategies and you will become wealthy. Click here to get Invest and Beat the Pros-Create and Manage a Successful Investment Portfolio. Perfect if you’re interested in building wealth with investing. 1. Eliminate all credit card debt. Only buy what you can afford to pay for today. How simple is this? You’re probably ready to click off. But, wait….. This tiny, seemingly overused strategy can be the difference between living paycheck-to-paycheck and amassing wealth. In today’s society, it appears as if you can’t live without a credit card. And then, all of a sudden, you’re bill is larger than your wallet. Thus starts the downward trajectory into debt. If you exercise a small amount of discipline, buy only what you can afford to pay off in a month, you are on the path to financial security. A simple trick to avoid overspending on your credit card: implement a 24 hour waiting period before buying. It’s surprising how many must have’s fade into the background after a few hours. 2. Dollar cost average (put a small amount of money into your investment account every month) into diversified index funds. This simple strategy to automate your investing, can be the difference between financial security or not. Dollar cost averaging is a fancy way of stating, set up an automatic transfer from you paycheck or checking account into an investment (or 401k) account. Direct those monies into low cost index funds. Over time, these seemingly small transfers grow into a large nest egg. These two simple strategies can lead to financial security and independence. 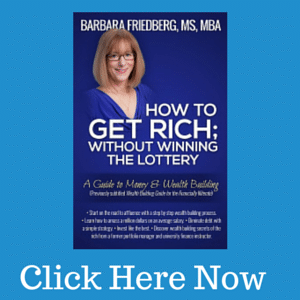 I comb the internet searching for the best wealth building articles for you. Today’s offerings are certain to bring you closer to prosperity. Pragmatic Capitalism asks, Why do Individual Investors Underperform? 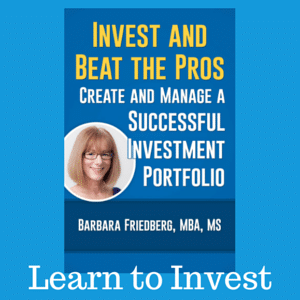 Find out why, in spite of all of the tools available to professional and amateur investor’s, most fail to beat the returns of the market indexes. Manisha Thakor from Money Zen writes 3 Questions Every Investor Should Ask and Answer. This may be one of the best and simplest investing articles I’ve read in awhile. It fits in really well with the current Asset Classes Series we are running this month. In How to Save Time with Your Finances, Not Made of Money Blog outlines an easy to implement plan to cut the drudgery out of financial management tasks. These 4 tips will keep you going in the right money management direction. 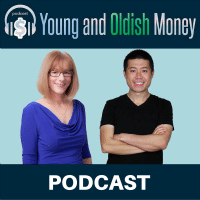 In Real Financial Progress Requires Quantum Jumps , Luke at Consumerism Commentary provides a more indepth look at wealth building than just the typical spend less than you earn and contribute to a workplace retirement account. See what you get from this unique take on getting rich. Personally, I sometimes forget to mention the part of wealth building which requires taking advantage of every potential financial opportunity and saying no to fear of failure. This article is a great reminder to seize every opportunity. How to Outsmart Consumer Culture at Good Financial Cents combines finance and psychology. Forward this to your overspending friends! I am sick of the materialistic culture that links happiness with stuff…. And more stuff! Everything Finance answers the question; How to Save Up for Your First Child. The title says it all. Raising a child is very very expensive. It’s never too early to start putting some money aside for the little bundle of joy! Beating Broke in How to Make a Million dollars Through Investment (and other ventures) lists the practical methods one can implement to become a millionaire. It’s not going to happen over night, and none of these strategies are scams. Every tip is true actionable advice (and I’ve used them all). This article is worth a read! Don’t Quit Your Day Job reminds us that inflation is not dead, just dormant in Future Inflation Calculator; What Does the Market Think? Having grown up during the previous century and seen sky high inflation rates, I’m suspicious of the current low inflation levels. Figuratively, I am waiting for the other inflation shoe to drop. If you have any interest in future inflation predictions, check out this article. It’s based on government projections and is a fascinating read. In How to Live in an Expensive City Without Going Broke, Little House in the Valley offers strategies for those in love with NYC, Los Angeles, Paris, Madrid, or Chicago. I’ve lived in both high cost and low cost of living areas. One my greatest wealth building tips is to live in a low cost of living area while you build up your net worth and raise a family. After that, you have the money to live where you please. The Finance Buff reports the 2015 Federal Poverty Levels (FPL) for Obamacare. With the new health insurance marketplaces opening and the Affordable Care Act front and center, here is more information to keep you current on the law. The Penny Hoarder unveils How to be on a Game Show. As a former game show contestant- and winner, I had to feature this article! Family Money Values offers a great list of Financial Resources from Financial Bloggers. What is your best personal finance tip? A version of this article was previously published. Warren Buffet is a pretty smart guy and I use both pieces of advice he mentions. Credit card debt is a sure way to put yourself further behind. I really like the two Buffett finance tips that you have listed. These two have informed many of my major financial decisions. Thanks for all the mentions, Barb! Warrent advice is always interesting. I read his biography last year – very in depth but also revealing. Thanks for the mention, Barb! @Lance-thanks for reiterating the deleterious effect of carrying credit card debt! @Michael-It’s amazing how 2 simple tips can be so powerful! Years before I had heard of Warren Buffett, I knew that credit card debt was too expensive for me. And I have been DCA’ing into my retirement accounts from the start of my first professional job. (I had been saving and investing in taxable accounts for years before that.) But thanks for the reinforcement that what I have been doing is the best thing to do. Starting early and consistent saving and investing is the key to wealth. I agree with Warren to eliminate all credit card debt. Some of us purchased an iPhone 5 because it is now the hottest gadget even if we can’t afford to pay it today. @Bryce, Sounds like you are on the right wealth building path! @Clarrise-Simple rule-If you can’t afford to pay cash, you don’t get it! I can remember my Father talking with me about the family finances and paying cash and investing in index funds was his advice. Simple but very effective! You are so fortunate to have such a wise dad. That is perfect financial advice! Great video and post! We can learn a lot from Buffet and can become financial successful within our own lives with some of his financial tips. Thanks for sharing!